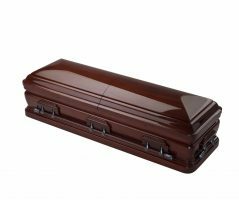 The hardwood collection is comprised of the finest grade cherry, mahogany, oak and poplar woods which are buffed and polished to enhance the natural grain and give each casket a silk smooth finish. 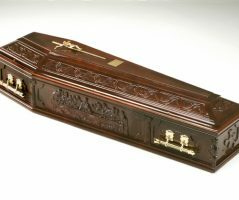 A solid pine coffin with a high gloss mahogany finish and a detailed craved scene depicting ‘The Last Supper’. 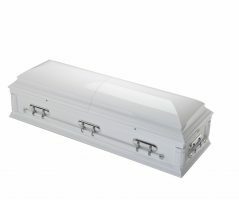 Complemented with double raised lid, corner mouldings and brass Oscar bar handles. 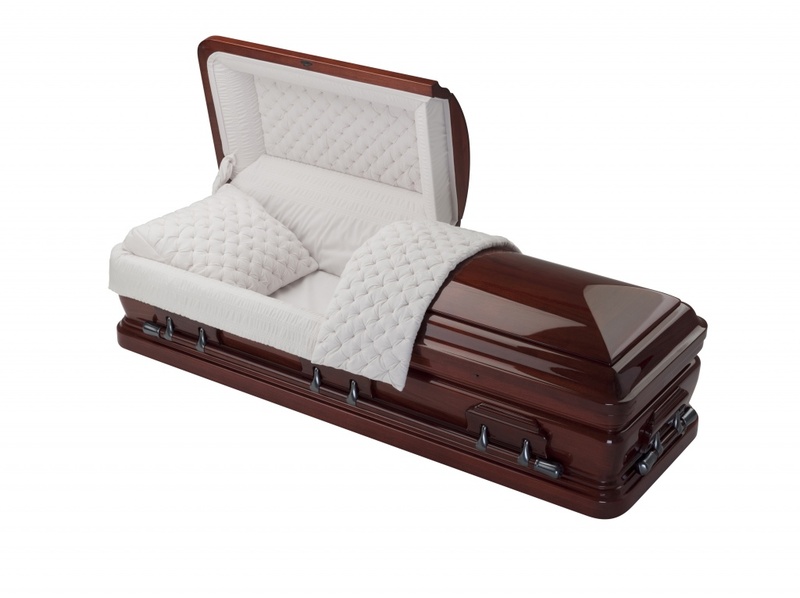 Finished with ivory upholstered lid and bed area. 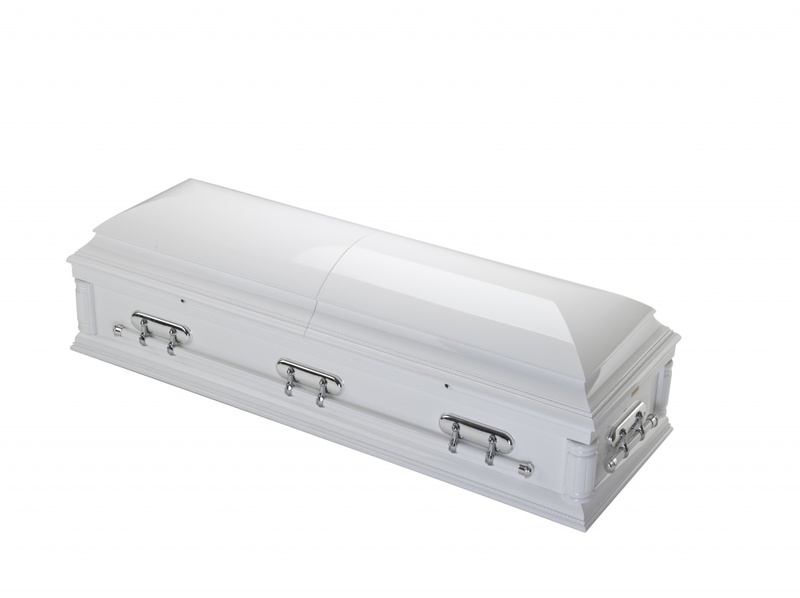 A solid Poplar wooden casket with high gloss pure white finish and swing bar handles. 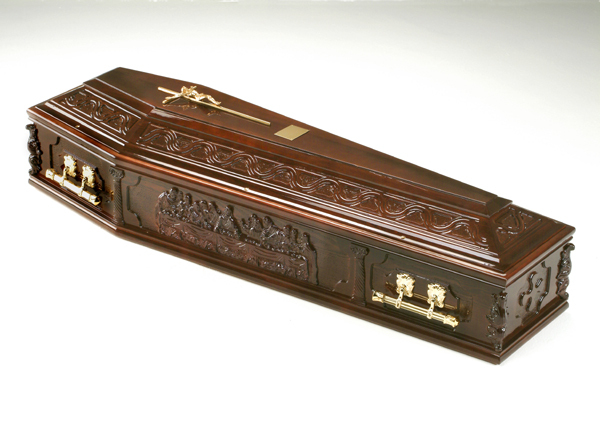 A traditional American casket with split lid and ornate craved corner pillars. 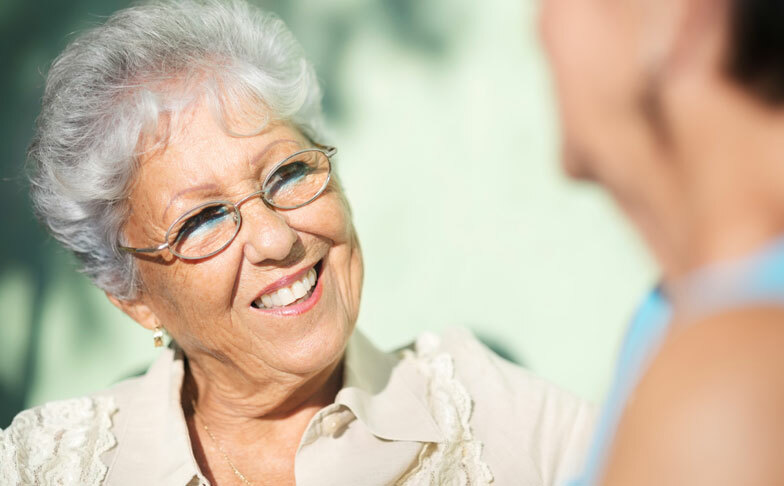 Finished with white ruched interior bed and lid panel. 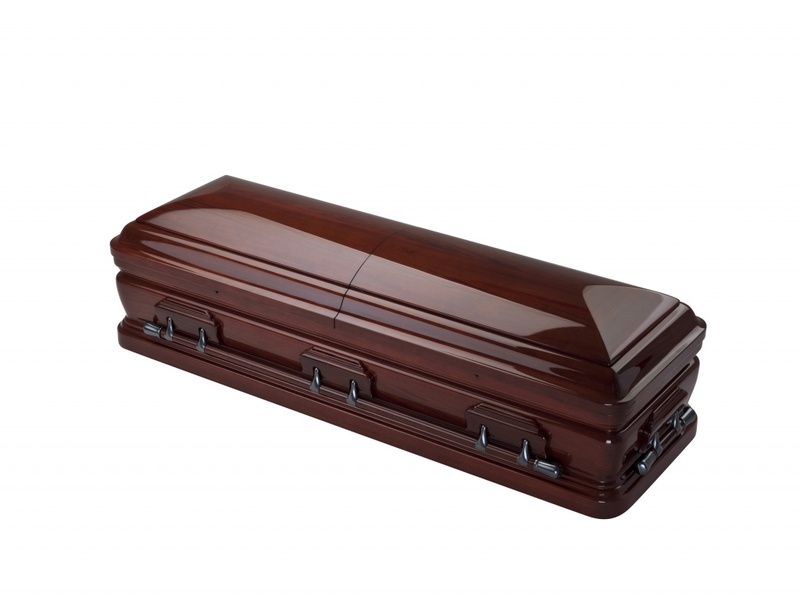 A solid mahogany casket with high gloss finish and full length swing bar handles. 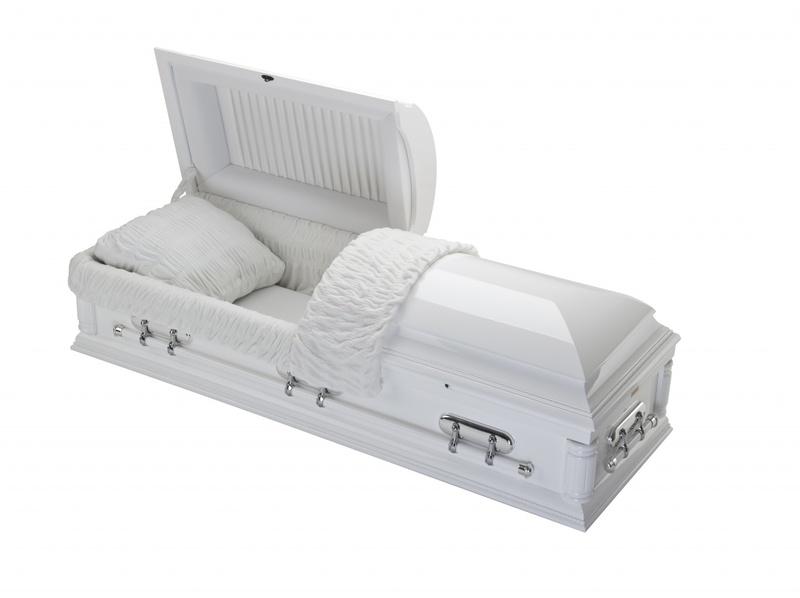 A traditional American casket with spilt lid, adjustable bed and rounded corners. 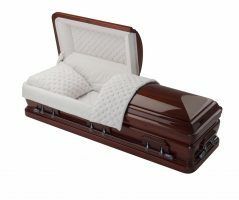 Finished with a pale cream cross pleated velvet interior and lid panel which complements the mahogany. 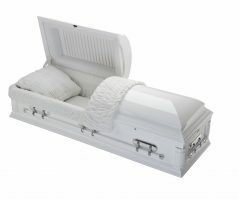 To find out more information about the American caskets and to view the full range please click on the link below.